The 4th ad Gredine Open is a 9-round Swiss tournament taking place from 16-24 June 2018 in Ortisei, Italy. Players receive 90 minutes for 40 moves, followed by 30 minutes to the end of the game, plus a 30-second increment starting from move one. 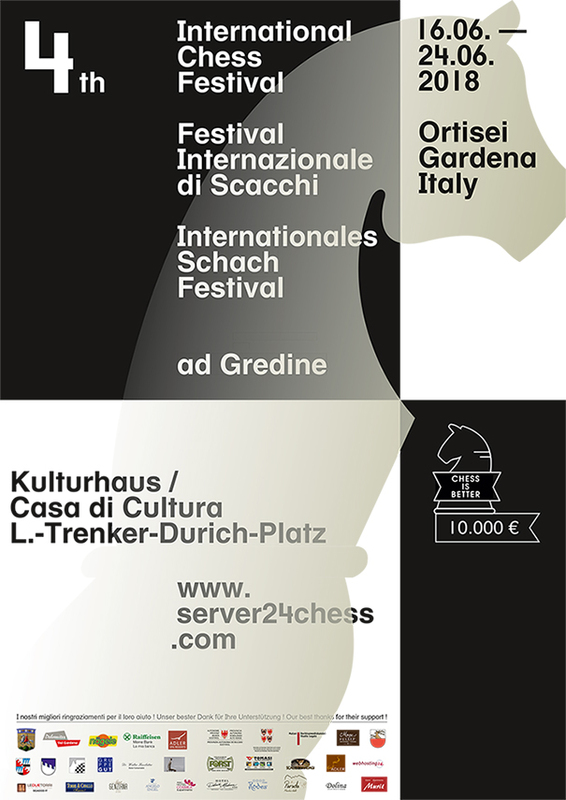 The Chess Club Gardena is delighted and proud to be hosting for the fourth time an important international chess tournament in Ortisei, in which a maximum of 160 people can participate. Strong participants from all over the world came in previous editions to Ortisei so that the tournament became a great sporting and cultural success with a local, national and international resonance. After World Chess Championship in Merano 1981 between Karpov and Korchnoi this event is the biggest tournament in history of South Tyrol chess since the Second World War. The tournament is named “ad Gredine”, which is reminiscent of the historic document from the year 999, in which that word was mentioned for the very first time and originated the name “Gardena”. 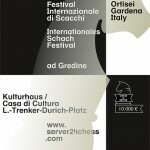 In this way the Ladin reality has an opportunity to introduce himself to the world of chess. The enchanting landscape, hospitality and local cuisine offer other top reasons to participate in the tournament in the pearl of the Dolomites (UNESCO – World Natural Heritage).